The latest evolution of the FIRE frame we proudly re-introduce after much previous success, now has an integrated headset. 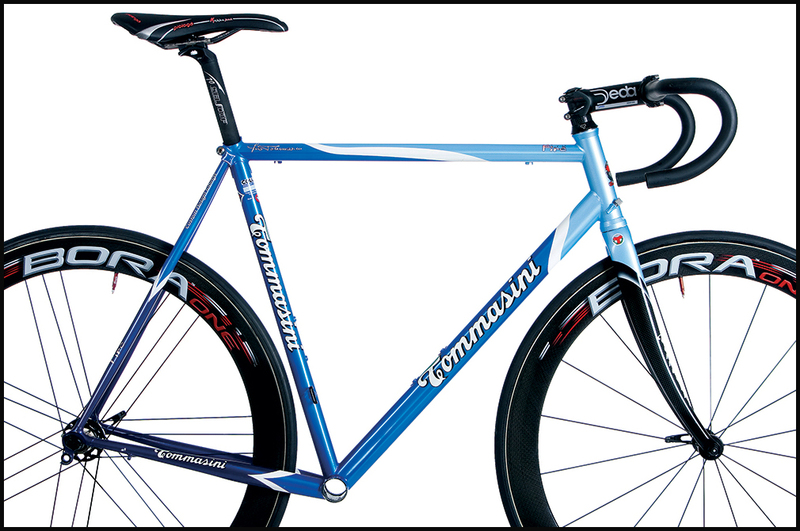 The Tommasini Fire is built with Columbus Heat Treated THERMACROM CUSTOM SPIRIT tubing. The special section of the down tube has been strengthen, enlarging it to 38mm., to prevent stress deriving from the use of a extremely lightweight and thin tubing. The tubing shape choice applied on Spirit tubing derives from the technical need to preserve stiffness eliminating negative road vibrations reducing the risk of cracks of lightweight tubings. 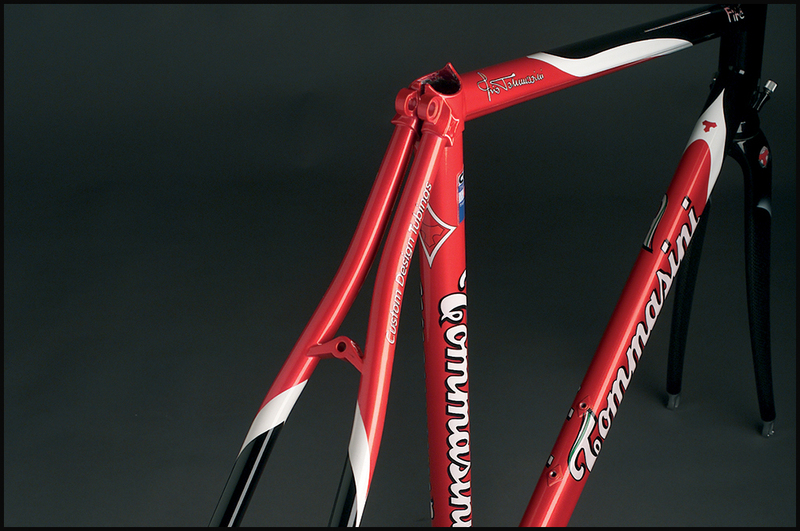 The frame is tig welded with an exception only: the personalized seat lug. 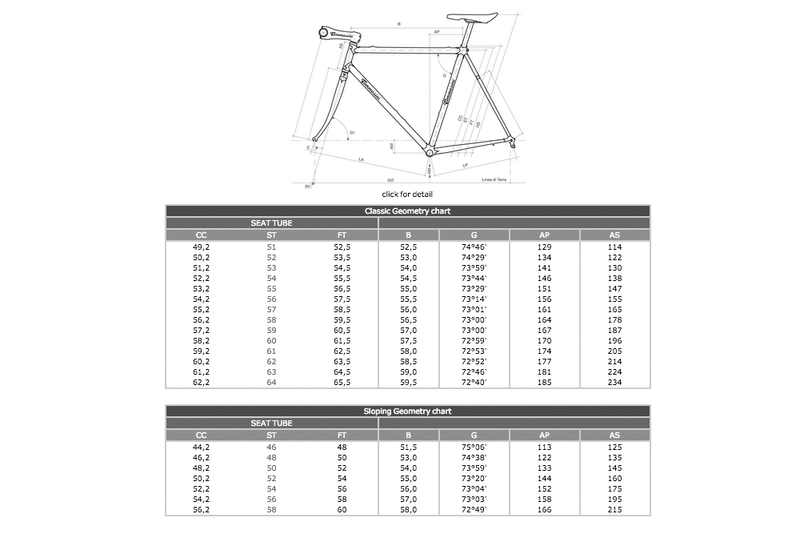 This along with the special bottom bracket shell, the original rear dropouts and the “bell shape” steat stays make the rear triangle properly stiff. 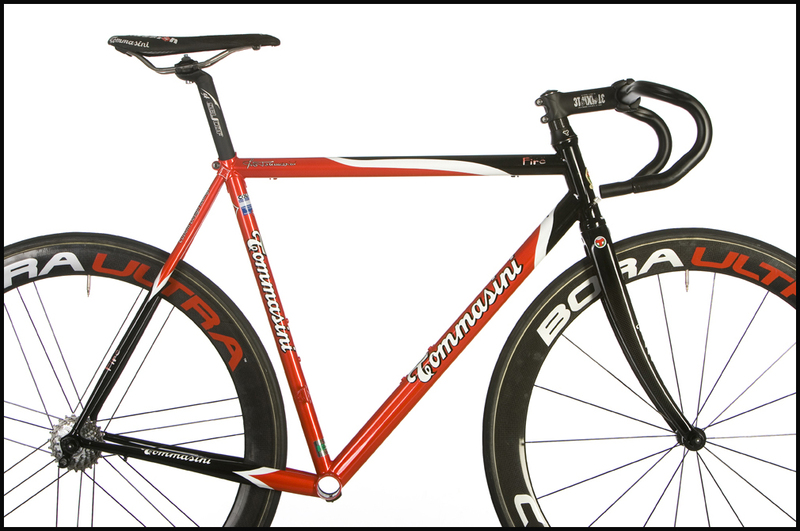 The frame is built according to an exclusive geometry designed by Irio Tommasini. It is completely chromed, or as a second choice, all “cataforesi” treated, good for extremely thin tubings because it deeply protects them from rust. 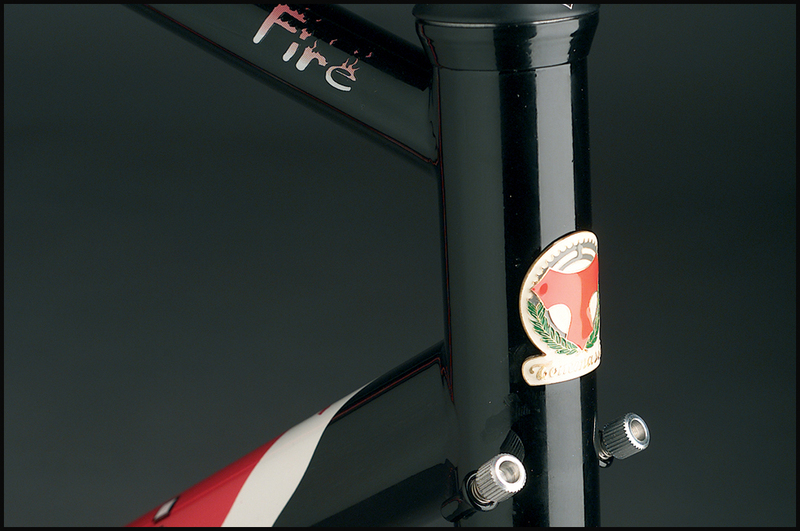 Maximum attention to detail: an example are the STI bosses (with adjusting screws included) brazed onto the head tube and the engraved enamelled head tube metal badge. Personalized carbon fiber forks are available. The 55 cm frame (painted) weight approx. 1.550 kg (3.417 lbs).